← Egg Dying- Chemicals Not Included! 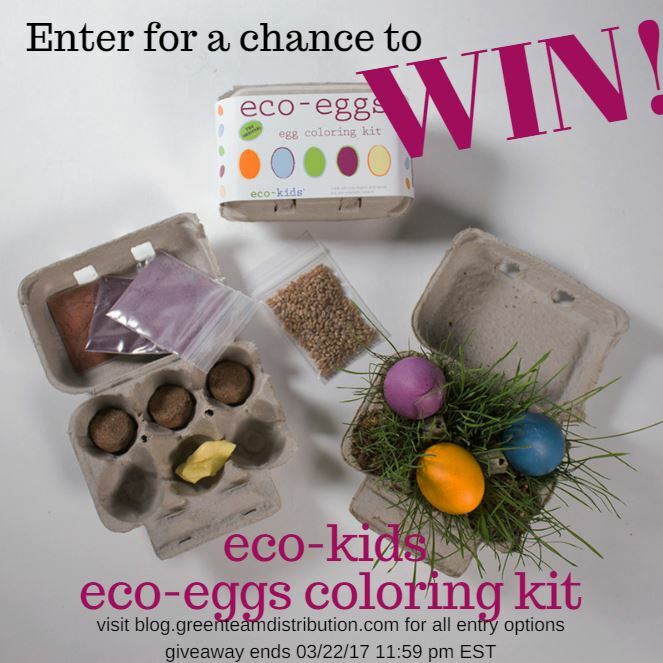 This entry was posted in Blog and tagged easter egg coloring kit, eco-kids eco-eggs, enter to win, green team giveaways. Bookmark the permalink. I would love to try the Nellie’s Stain Stick…so far I love everything I’ve used of theirs but I still haven’t tried this. I would love to try LooHoo Wool Dryer Balls, because I think they would speed up drying time, especially for cloth diapers. I have heard great things about wool dryer balls, but haven’t taken the plunge to try them yet. I would love to try the Skeeter Skidaddler bug spray!